UNC Lineberger’s Yisong Wan, PhD, and colleagues report in Nature new details about the development of Th17, a type of immune cell that is believed to play a complex role in cancer, and is also implicated in autoimmune diseases. While the immune system is critical for fighting off invading micro-organisms, sometimes it can turn against the body and attack healthy tissues or be involved in cancer cell growth. A study by University of North Carolina Lineberger Comprehensive Cancer Center researchers provides new details about the development of a particular immune cell that can play a role in autoimmune and inflammatory diseases as well as cancer. The researchers report in the journal Nature new details of what triggers the development of Th17, a CD4 helper T-cell. This type of cell sends out signals to draw additional help to the site of tumors or infection. The researchers hope their discovery could aid in the search for new treatments for autoimmune disorders and cancer. The researchers discovered how a complex interplay of signals that help to loosen DNA at a particular site, allowing the expression of a gene that’s key to the development of the Th17 subtype. First, interleukin-6 signaling unravels the DNA at this key gene site. Then, in a new discovery, they found that Ski-Smad4, a molecular complex that usually squats on the DNA to prevent it from being read, must be released. They report that TGF-beta signaling releases Ski-Smad4. “We knew that interleukin-6 signaling reprograms a particular DNA site that makes the cell ready to express this gene, but you need another event – through this TGF-beta signaling — to allow it be expressed,” Wan said. He said that while interleukin-6 is like an accelerator to drive Th17 expression, Ski-Smad4 is like a brake that needs to be released. Wan said their findings reveal a new signaling system that could be a potential drug target for a range of diseases. 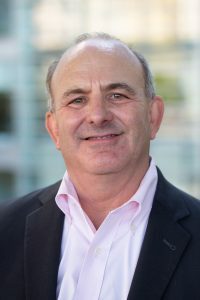 Jonathan Serody, MD, UNC Lineberger member and Elizabeth Thomas Professor in the UNC School of Medicine, said Th17 cells have also been found to play a role in reactions to stem cell or bone marrow transplantation from another donor. In addition to Wan and Serody, other authors include Song Zhang, Motoki Takaku, Liyun Zou, Ai-di Gu, Wei-chun Chou, Ge Zhang, Bing Wu, Qing Kong, Seddon Y. Thomas, Xian Chen, Xiaojiang Xu, Paul A. Wade, Donald N. Cook, and Jenny P.Y. Ting. 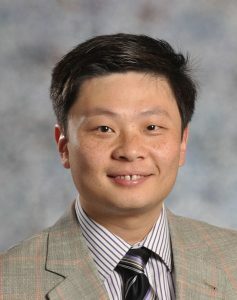 The study was supported by the National Natural Science Foundation of China, by the National Institutes of Health, the Intramural Research Program of the National Institute of Environmental Health Science, the National Multiple Sclerosis Society, and the Yang Family Biomedical Scholars Award.